If you are someone who is looking for a device for both dry and wet grooming, Remington PG 6250 is the perfect one for you. 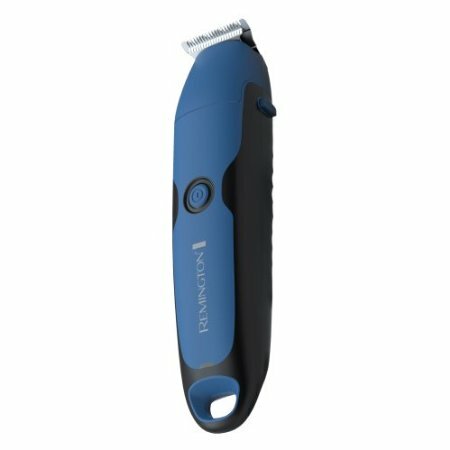 It is also an all-in-one solution because if you have this you do not any other trimmers or shavers. It is black and blue in color that comes with a power button in the front. The back part is black and comes with the facility of easy grip. In that way, there is no chance of dropping it. You will find many attachments inside the box that you can put on the top of the trimmer to use for various purposes. By now you can guess that it is waterproof because you are going to use it in the shower. You can also tell from the name “Wet Tech” that it is for the two kinds of shaving. It is rechargeable and you will find the charger in the package. You can use that to power it up and use it as a cordless trimmer. You can make your shaving experience soothing and comfortable by applying shaving lotion, creams or gels. As mentioned before, the back part is black in color which comes with a grip that is no slip. As it for use in the shower, you will not have any trouble holding it with wet hands. There is no chance of dropping it and breaking the device. There is a hook (hanging loop) that you can utilize for hanging the device. 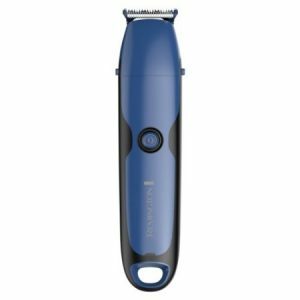 The blades of the Remington PG6250 Grooming Kit are made from stainless steel, so you can use it if you have sensitive skin. Nowadays, most beard trimmers’ blades are built with this kind of material because of its hypo-allergenic feature. The blades will not cause any redness, discomfort or razor burn in any area. Many blades are made from nickel which can cause skin irritation. This product does not have that to make sure the user does not face any redness or pain. It is best to not use blades that are not made from high-quality stainless steel. The blades that come with Remington PG 6250 is also very strong, durable and sharp. It is also the grooming kit you will need because it is a full-size one. It is not one of those small ones that serves only one purpose such as trimming the beard. There is the metal trimming comb at the top where you can connect plastic combs for your beard trim. You have to snap it on or off and use them as guides. You can get any type of beard style. The PG6250 is rechargeable and cordless, and the grooming kit comes with a cord and black charging plug. It operates on a lithium battery that is why the motor is powerful compared to those that does not run on this kind of batteries. You will be able to run it for sixty minutes. At the center of trimmer is an indicator to tell you about the battery status. This entry was posted in Remington on December 18, 2017 by Professional Beard Trimmer Reviewer.